Discussion in 'Homeowner Helper Forum' started by HorizontalJ, Nov 22, 2018. I live in the northeast suburbs of Boston and have been bringing Husky’s back to life for fun. I find the saws that have been sitting for years in someone shed and rehab them. Question? Are older 011 AV’s worth anything running? I see a bunch of them pop up for sale. 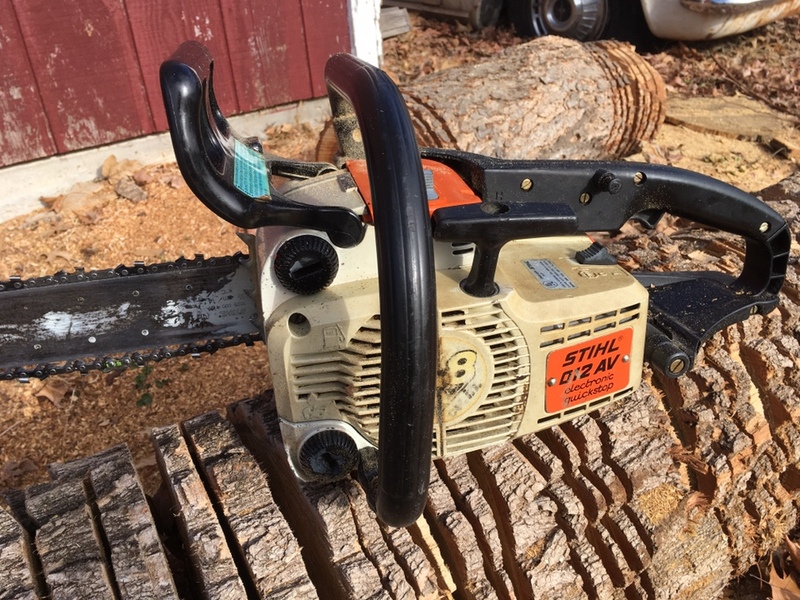 First chainsaw I ever owned. Given to me for next to nothing by an old friend/co worker who is now deceased. Great little saw. Never gave me any issues. I think about him every time I break it out. Great. I bought one and brought it back to life! Sounds mean. Does it really need Stihl oil or run 25 to 1 with other oil? That is what the manual reads! Run any modern, high quality synthetic air cooled 2-cycle oil at 50:1 and it will be fine. DO NOT use TC-W3 oil. Back when the 011 was new, 25:1 was necessary due to sketchy quality of unknown oils. 2-cycle push mowers were also commonplace (Lawn-Boy, etc) and they used an oil that burned off at lower temperatures. Lots of people would buy the cheaper "smokeless" mower oil by the quart and use it in their saws. Hence the 25:1 recommendation. Modern oils don't burn off as readily as the old time stuff. Especially in a reed valve engine like the 011. They just don't run that hot or fast. Too much oil and you'll have an engine that's slobbering oil out the exhaust and stopping up with carbon. My dad had one for years till my nice brother in law borrowed it. Still runs but not good, so I bought my own for 100. I like the little saw, can use it with one hand if needed. Anyone know if any other Stihl inner bumper spike will fit the 011 AVT? Right but I’m asking if there are any other dogs, preferably a little larger, that will mount up to the 011. Why, may I ask, would you want larger spikes on an 011? Shoot, I take the spikes OFF all my saws except my MS441 which gets used for felling. Just a little added protection for the powerhead, if nothing else. I don't use the 011 for felling. Just seems like the original dogs are pretty flimsy. I did order a new dog for it from my dealer, so it's really not a big deal. It’s only 4cc larger than an 011 but it’s really the only vintage small Stihl I’ll deal with. 3/8” LP x 16” for it. All the others get a 14”.